The company's representatives turned down a Swedish comedian for a role in a commercial to be aired in Greece due to his skin color, saying that it doesn't fit for the local market. Fernando, a Swedish comedian and actor, has complained of discrimination after he was told that the Ikea company doesn't need a black person for its advert, TheLocal reported. "He can't be black for the Greek market. Sorry," the e-mail, received by his manager, said. Commenting on the remark, Fernando confessed that he was "sad" and "angry" because the email was rude and the company's representatives didn't even see his performance before rejecting him for the role. It turned out that the link to his video didn't work, so the casting crew made the decision without assessing his work, the man argued. "If you're an actor, sometimes you don't get the job, and it doesn't always depend on the color of your skin," Fernando said. "But they hadn't even seen the performances, they didn't see the link." After the incident, Fernando contacted the casting agency to express his anxiety about the wording in the email, but he was just told that one of the agency's employees made a mistake and wrote the letter under stress. Following the phone conversation, the actor said that the people he talked to didn't understand his position and didn't behave very politely. "They just said it was a human error. It was not supposed to go to you, it was supposed to go to your agent," Fernando said. In his turn, Ikea spokesman Jakob Holmstroem told SVT that the company had indeed listed certain skin-color requirements for the commercial. "Sometimes you are looking for a blond man. Sometimes you are looking for a dark-haired woman, an Asian one or a South American," the representative explained, adding that there was nothing unusual about it. At the same time, he admitted that the wording was chosen wrongly and that the casting manager's reply could have been more polite. "What's unfortunate is the way this was formulated when he got the rejection," Holmstroem said. In early November, Ikea started looking for Swedish actors for an advert to be aired in Greece. The job offer said that the company needed a Swedish actor with outstanding comedy skills and sense of humor, something that Fernando believes he definitely has. "They say they want a Swedish actor, and I came here when I was six years old, so I don't know what more I can do to be Swedish," he said. "It's 2018, we are living in a multicultural country. So what is a Swedish actor? Is it a white actor?" 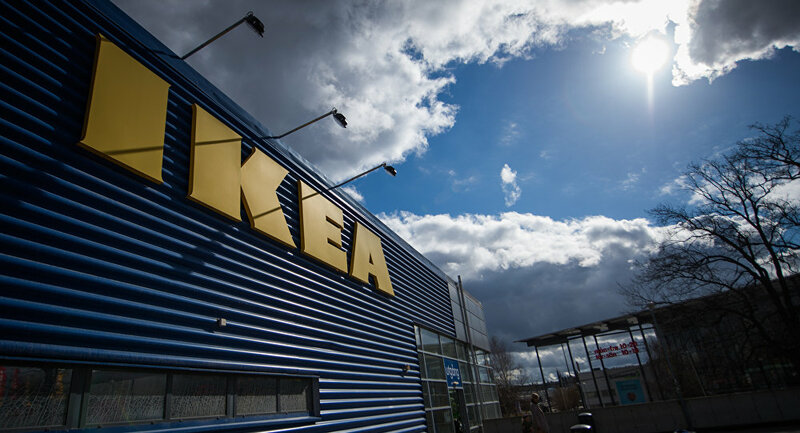 Earlier, Ikea has already been forced to apologize and withdraw a controversial television advertisement being screened in China over claims it was sexist. A 25-second commercial that showed a mother scolding her daughter for not "bringing home a boyfriend" to meet her parents immediately attracted accusations of sexism towards single women — especially in China, where unmarried females, colloquially known as "leftover women" have often faced pressure to wed in a society that encourages marriage.